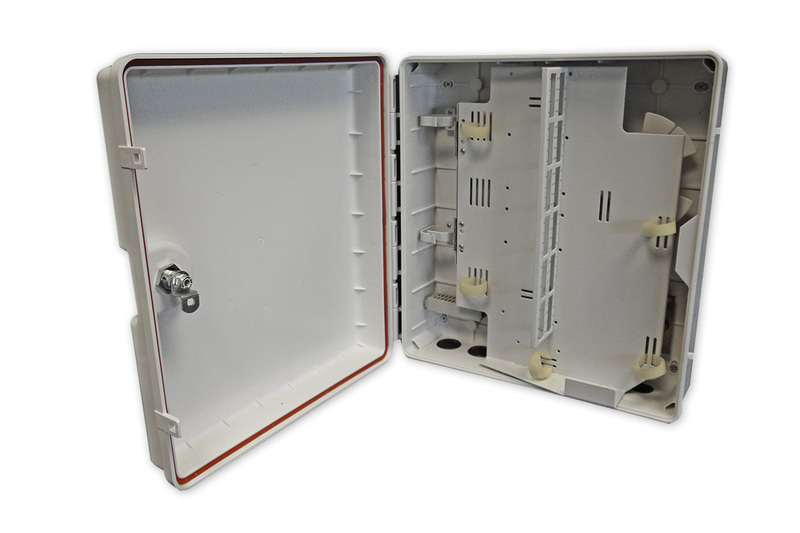 The 48 core IP65 fibre optic distribution box is used for the distribution and termination of fibre optic cable devices. The IP rated box can be utilised for FTTH applications and other installation requirements to break-out and splice input cables into drop cables, pigtails, or direct patching. The box may also be used for protective interconnection of a fibre network and is suitable for outdoor, riser and tunnel installations, up to 48-cores.